I'm not entirely sure why Carvela thought this would be a good idea. 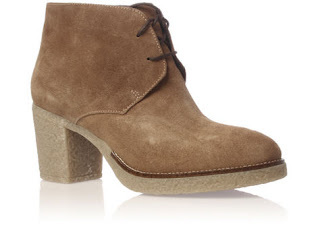 Who on earth would think "Ooh let's take a non-descript man shoe boot and put a heel on it for the ladies!" and then have the cheek to charge £120 for it?!? !